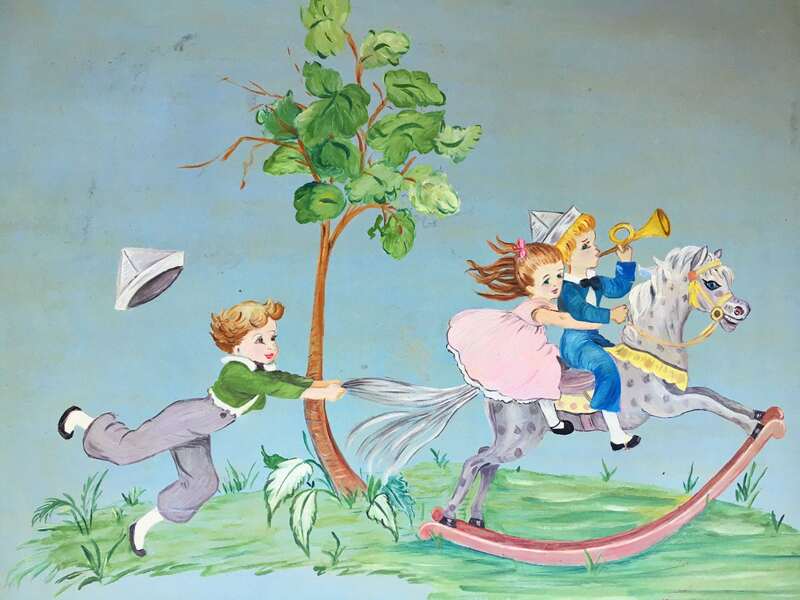 Here we have a hand painted tray featuring a delightful folk art scene of children playing on a rocking horse. 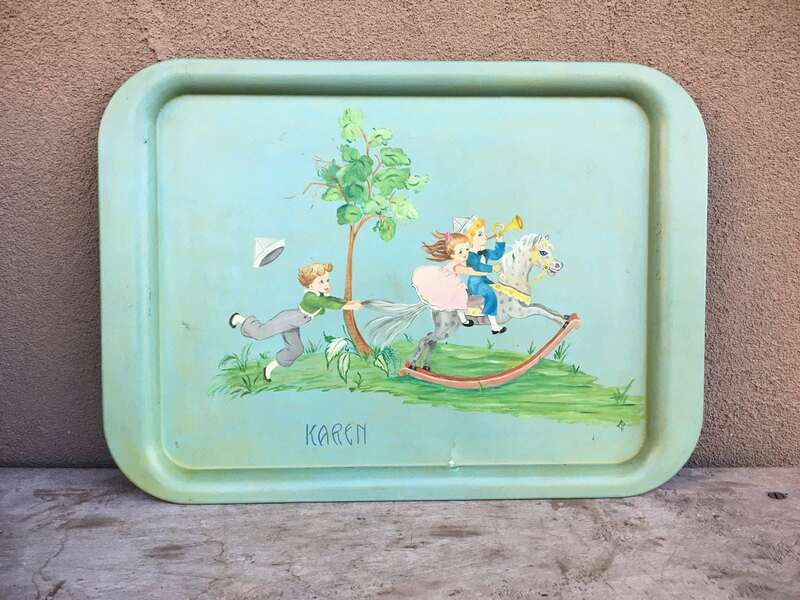 The tray was made for someone named Karen, as we see that inscription on the bottom, and the initials of the artist, E.L. 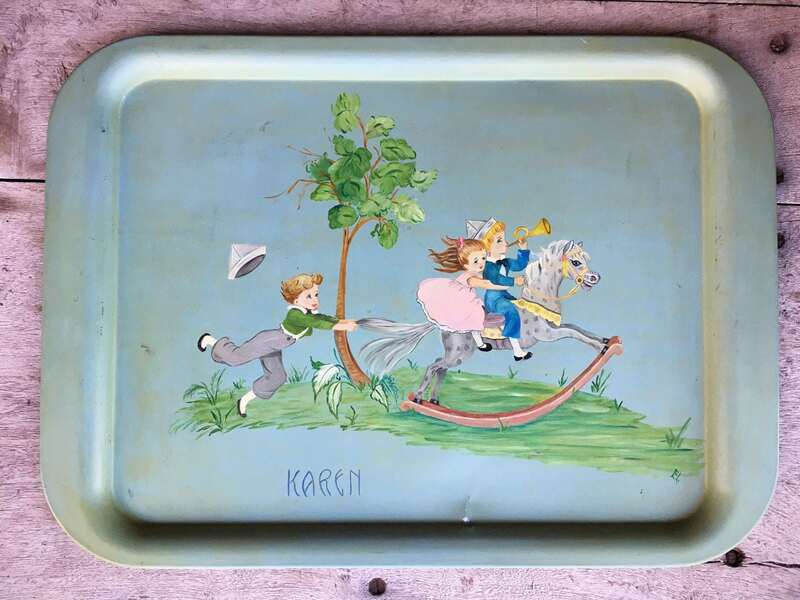 I was immediately drawn to this tray as my mother-in-law, who died some years ago, had a very similar style in the paintings she often did for the family when our children were born or for certain events like a first year of marriage Christmas ornament. This style is primitive or folk, although the artist who painted the scene on the tray most definitely had talent. 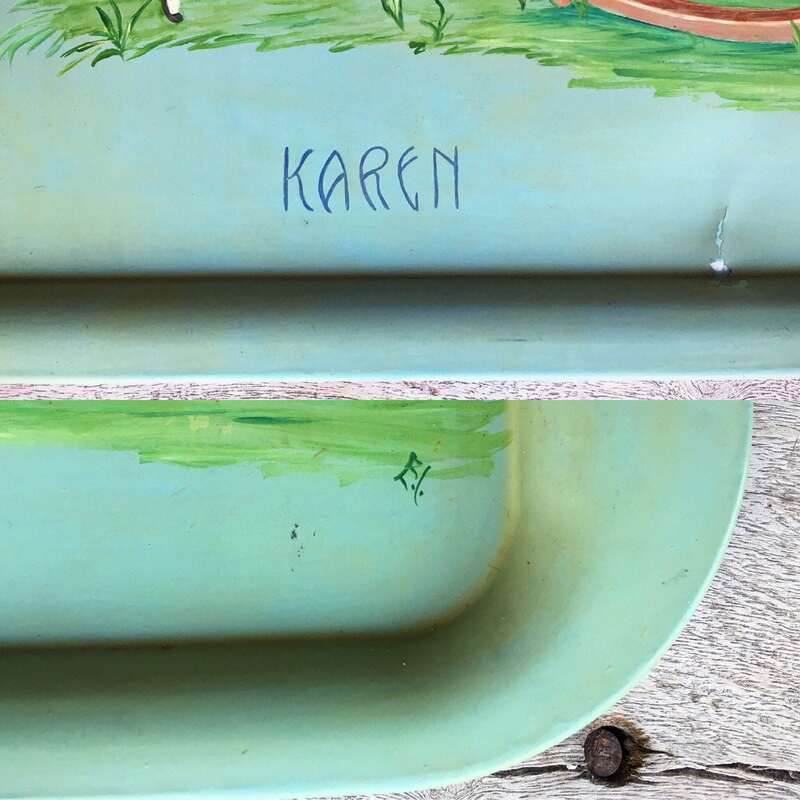 In the event that there is a Karen out there that would love a piece such as this, wouldn't it be awesome cool that she might receive a piece customized for a different Karen?!? Tray measures 17-1/2" wide by 12-3/4" tall. 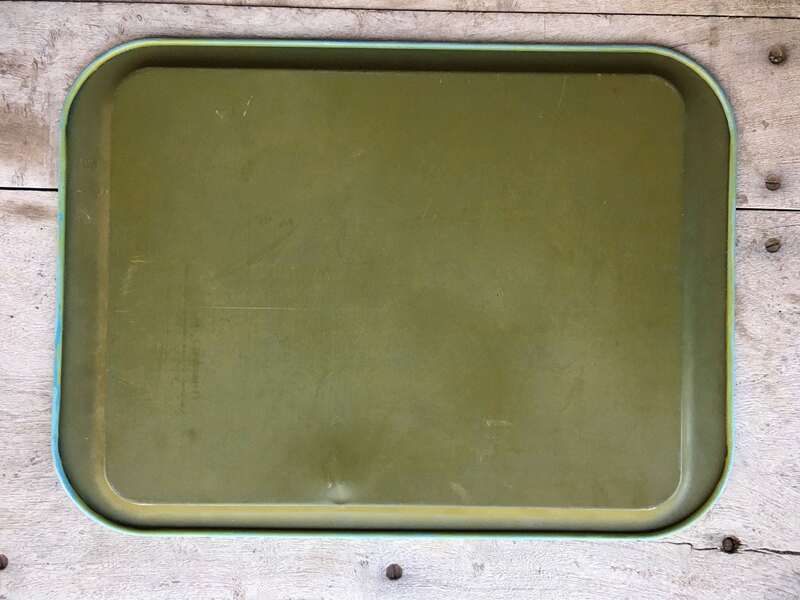 One spot where the tray was perhaps gauged and now slightly bent and with a paint chip, but given the age and style, it simply adds to the authentic nature of the piece. Front background is a seafoam green that's been antiqued--a technique popular in the 60s. Back is more of an olive green. In good vintage condition given its age. Whimsical folk art that will make some "Karen" out there quite happy, I'm sure.